Youtube and Google announced the 10 top trending videos in MENA in 2012, including DiSalata’s version of Gangnam Style. Today, Google announced the top ten trending videos which captivated users throughout the MENA region in 2012. The list announced by Google includes the most trending videos in the region which included popular music, entertainment, comedy and people & blogs videos. 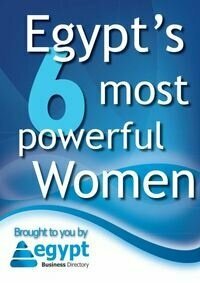 Egyptian online TV-Channel DiSalata has made it to the Top 10 list, conquering place 7. The Gangnam Style Parody was viewed 1,464,042 times on DiSalata’s YouTube channel, and has been re-uploaded several times by other channels. Founder of DiSalata Mohamed Bassiouny told Egypt Business Directory that he did not expect this success in his wildest dreams: "This was a great surprise. When we shot the parody, our ambitions did not reach that far"
“This year, we looked not just at views, but also shares, searches, likes and responses to identify the ten videos that everybody was talking about in 2012. On YouTube people don’t just view a popular video, they remix, share, and parody, building a fan community that extends far beyond the watch page.” stated Tarek Abdalla, Marketing Manager in the Gulf region, “We took all of this into account to ensure we truly captured the captivating moments of the year.” added Abdalla. 2. 7A2Y BER2ABTY - GAME OVER / ????? ??? ?????? ?? ???? ??? ???? 3. Ahmed Mekky - Atr El Hayah / ???? ??? - ??? ?????? 5. Eysh Elly 206 ??? ???? 6. La Yekthar Show: Episode 14 / ?????? ?? ???? : ?????? ??????? ??? 7. Disalata: Hobba Egyptian Style / ???? ???????? ????? 8. #ArabsGotTalent ?????? ?????? - ?????? ??????? - ??? ????? 9. ??? ????? - ???? ??????? 10. Start With yourself Tamer Hosny / ???? ???? ????? ???? ???? “2012 has been a big year for YouTube in MENA. With more than 260 million views every single day. Millions of creators are using YouTube channels to experiment with innovative forms of entertainment, explore their passions and interests, and take creativity and pop culture to new levels. 2012’s top trending videos showcase this creative ingenuity in ways we'd never before thought possible.” stated Maha Abouelenein, Head of Communications in MENA.